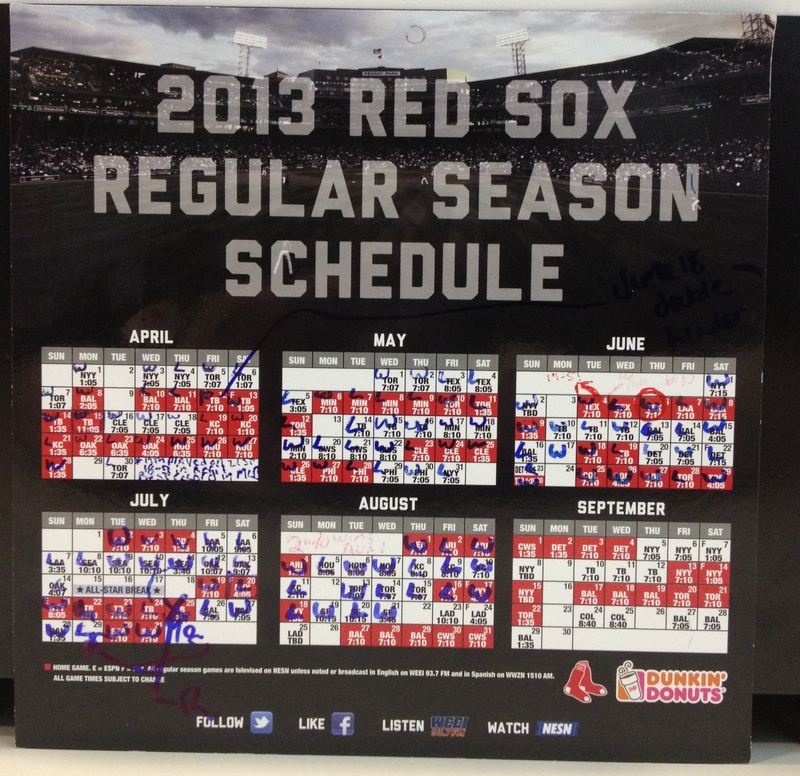 I keep track of the W’s and L’s on this magnetic schedule in my office. More W’s please! I am so ready for this Dodgers series. I’m not ready for the rehashing of all the stuff from 2011 and “the trade” but putting the drama aside I’m just ready to see the Red Sox kick it back up. Regardless of the gut-wrenching extra-innings, one-thirty in the freaking morning, my God why did I stay up for that loss against the Giants, that series was fun and successful and hopefully will help this team get back on track. 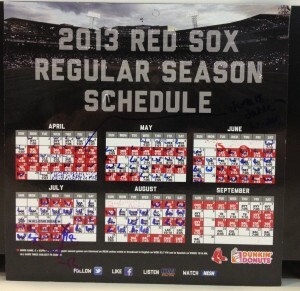 Right now the Red Sox are 10-10 in the month of August. Not terrible but still too many L’s for my liking. I want more W’s and I want them to come courtesy of the Dodgers. The Sox won’t be facing Zack Greinke or Clayton Kershaw in this series, although they’ll be facing pretty damn good pitching in at least two of the three games, so at least the Red Sox have a sporting chance here, right? I mean it should be easy to beat the team that is 19 games out of first place (hello, reigning World Champion San Francisco Giants) but the team leading that division by 9.5 games is going to be a bit tougher. Regardless of how this season turns out, the fact that on August 23rd they are in first place when last year on this date they were 13 games out of first should make us all deliriously happy about this season. I keep telling people this and, for the most part, I believe it myself. But, dammit, these bastards have made me greedy and I want it to keep on going. If nothing else comes of this season I am absolutely convinced that John Farrell should win the AL Manager of the Year. Given what he has to work with (at the very least with his pitchers), that he’s brought the last place losers of 2012 to first place for the better part of the season in 2013 is damn impressive. Now seems like a good time to remind local folks that you can listen to the Red Sox on WEEI instead of watching it on Fox or ESPN. It took about seven years but my ADHD finally infiltrated my blogging habit. It wasn’t that I haven’t been paying attention to the Red Sox, it was that sitting down and writing about it wasn’t something I was physically or, apparently, mentally able to do in anything more than 140 character bursts. So since April, Toeing the Rubber sat here untouched until one day about a week or so ago when I decided I was ready to start writing again. And that’s when I discovered I was locked out of my own site. So after a lot of back and forth (the site was “attacked” and it took a lot of effort to get me my control back) I was finally able to get back to where I wanted to be. I’m looking at it as a bit of a clean slate…trying to keep the blog clutter-free and without even links to my past blog entries…and an opportunity for me to get back to the kind of blogging I enjoyed back when I started doing this as “Red Sox Chick” back in July of 2005 over at MLBlogs. Thanks to all who stuck around even when there was nothing to see and welcome to those of you new to my baseball ramblings!